Lawyers for the mother and daughter, who have both been granted anonymity, claim the prosecution breaches their human rights. A NORTHERN IRELAND schoolgirl whose mother is being prosecuted for buying her abortion pills is a potential victim of crime, the High Court heard today. Judges were also told information on whether the teenager fell within a recommended period of being less than 10 weeks pregnant is “very sketchy”. 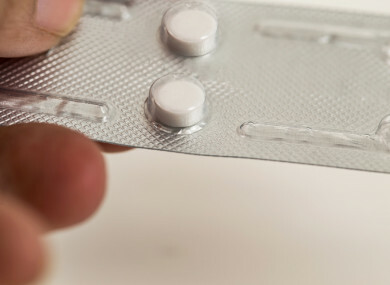 A landmark legal challenge is being taken against the decision to pursue charges against the mother over procuring abortion medication online for her child. She is facing a trial and could be jailed for up to five years if ultimately convicted. Unlike other parts of the UK, terminations are only legal in Northern Ireland to protect the pregnant female’s life or if there is a risk of serious damage to her well-being. But on day two of the case counsel representing the Public Prosecution Service (PPS) referred to another possible interpretation of the circumstances. In 2013 the daughter, then aged 15, became pregnant during an allegedly physically and verbally abusive relationship. Feeling vulnerable and unable to travel to England for a termination, her mother purchased abortion pills online. She now faces two charges of unlawfully procuring and supplying drugs with intent to procure a miscarriage, contrary to the 1861 Offences Against the Person Act. The family’s legal team claim compelling the girl to continue with a crisis pregnancy would have breached rights to protection from inhuman and degrading treatment. And prosecuting her mother for enabling her to access medication to obtain an abortion also violated those entitlements and rights to privacy and family life, it was contended. Further issues have been raised about the disclosure of information from a GP and child and adolescent mental health services as part of the police investigation and subsequent decision to bring charges. According to McGleenan, however, the doctor’s notes contain disputed “hints” of feeling pressured over taking the medication. He reiterated the PPS stance that the public interest test had been met in pursuing a prosecution over use of the type of medication involved. A key question, counsel argued, centred on whether the girl was beyond the 10-week mark in her pregnancy when the pills were sought. The relevant protocol was filled in by her mother when it should have been completed by her, the court was told. “Only she can answer the key and critical question about her gestation period,” McGleenan insisted. He continued: “In this case the critical questions are – is the medication appropriate, and is your pregnancy under 10 weeks? Attorney General John Larkin QC argued that the case amounted to a “collateral” challenge to the ongoing criminal proceedings. Larkin told the court an attempt to change Northern Ireland’s abortion regime had been “comprehensively rejected” by the Stormont Assembly in February 2016. “The law in Northern Ireland is that both lives matter,” he added. Earlier in the case it had been claimed that the teenage girl was removed from a classroom and spoken to by police about the abortion pills purchase without her parents knowledge. But counsel for the PSNI responded that the officer involved was focused only on her state of well-being, and never intended to question her. Comments are closed as this case is before the courts. Email “Schoolgirl whose mother is being prosecuted for buying abortion pills 'is potential victim of crime'”. Feedback on “Schoolgirl whose mother is being prosecuted for buying abortion pills 'is potential victim of crime'”.